Wellesley Lake is one of the most spectaular settings in all of Canada. 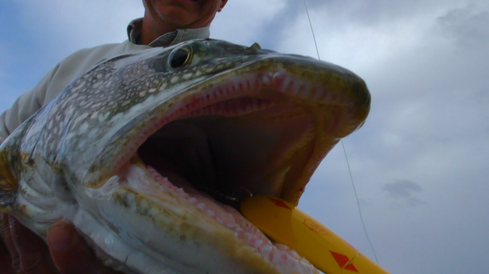 It is perfectly sized at 11 miles by 6 miles and boasts some of the biggest Lake Trout found on the planet. 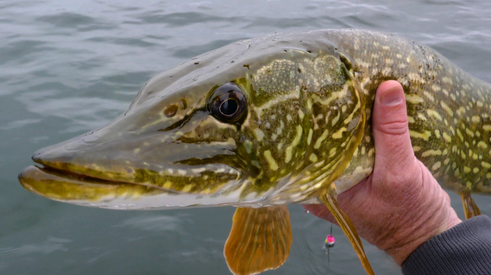 Located 200 air miles northwest of Whitehorse in Canada’s Yukon Territory, Wellesley Lake is without a doubt the world’s finest Lake Trout lake and has a prolific Pike population up to 50 inches. Average Lake Trout at Kluane weigh in at better than 15 pounds, 40 pounders seldom raise an eyebrow and there’s more than enough 50 pound plus fish to wear you out. From the pros to the novice, anyone can catch fish and all do. Along with the added advantage of not having to have a guide with you, you can fish around the clock if you so desire.